The 10 Most Expensive Streets in the World – "I KNOW TORONTO!" Even as the real-estate bust reaches into Richistan, a handful of the world’s toniest streets seem immune. The Wealth Bulletin (a Dow Jones site) has come up with a list of the 10 most expensive streets in the world. Granted, this is an inexact science, but the list includes some jaw-dropping price-per-square-foot numbers for some of the richest blocks on earth. 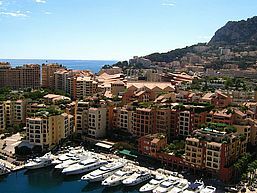 Topping the list is Monaco’s Avenue Princess Grace, the palm-lined street named after Grace Kelly that overlooks the water. Forget buying a house there — just getting a beer at Jimmy’s Bar on the Avenue will set you back more than $100. But living on the avenue gets you a chance to rub elbows with Russian oligarchs, Middle Eastern oil sheikhs and the occasional Monaco royal. The two streets to make the list from the U.S. are New York City’s Fifth Avenue and Carolwood Drive in Beverly Hills. 1. Avenue Princess Grace, Monaco — $17,750 per square foot. 2. Severn Road, Hong Kong — $11,200 per square foot. 3. Fifth Avenue, New York City — $7,500 per square foot. 4. Kensington Palace Gardens, London — $7,196 per square foot. 5. Avenue Montaigne, Paris — $5,046 per square foot. 9. Wolseley Road, Sydney — $2,616 per square foot. 10. Altamount Road, Mumbai — $2,336 per square foot. Is anyone else surprised the Monaco took the cake?